How Much Does a CPAP Machine Cost in 2019? People who need to use CPAP therapy on a daily basis know how important it is to find a reliable device for their therapy. The market is abounding in offers, and prices can start from as little as $200 for a travel style CPAP and exceed several thousands for a technologically advanced oxygen therapy device. 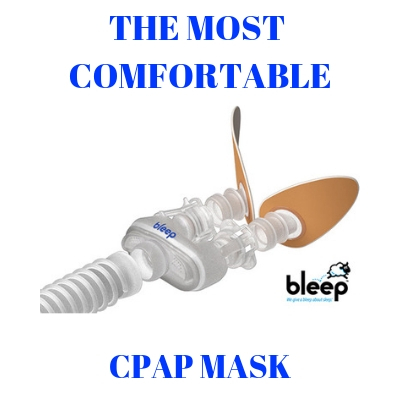 CPAP prices highly depend on factors such as manufacturer, features included, extra additions or included accessories such as a CPAP mask, tubing system or others. If you struggle with snoring or wake up in the middle of the night gasping for air, you might get diagnosed with OSA – or Obstructive Sleep Apnea. In this case, you need to use a CPAP – Continuous Positive Air Pressure- device in order to receive enough oxygen into your lungs on a continuous basis. Such a medical device will help you breathe naturally during sleep, and then wake up refreshed and ready to start your day fully energized. Quite often, patients with sleep apnea who do not use a CPAP device wake up in the morning with a fuzzy feeling, headaches and a low mood in general. This happens mainly because they did not enjoy a restful night of sleep. However, you need to get diagnosed with sleep apnea disorder and then your doctor will prescribe the right CPAP machine for you. So where can you buy a CPAP machine? How much does it cost? Is it covered by my insurance? These are all questions that will get an answer in this tutorial. When it comes to CPAP machine cost there is no universal price available. There are dozens of brands and different technologies available out here, so the prices greatly differ depending on these features. On average, a CPAP machine can cost as low as $400/ $500 and the price can exceed even $3,500. AutoCPAP or BiPAP machines, in general, are more costly than the standard CPAP machines. Also, once you received your recommendation from your doctor regarding the type of machine you would need, it is much cheaper to buy your machine online. Please keep in mind you should purchase your device only through a highly rated, trustworthy and reputable provider. You can save several hundreds by buying online vs. buying in a physical store offering medical equipment. When you choose to purchase online, you also get a wider range of choices. You can easily find the right machine tailored to your exact needs by browsing online. When it comes to the most popular CPAP machines, the ones manufactured by brands such as ResMed, Philips Respironics or DeVilbiss make the top of the list. Fisher & Paykel, Apex or Human Design Medical but also the Somnetic travel CPAPs represent quite popular options. ResMed AirMini Travel CPAP – the cost of the device + humidifier is around $1,000. The machine comes with a 2-year warranty from the manufacturer, and other features include: integrated battery, exhale pressure relief, ramp time, HumidX humidifier, Leak compensation, mask off alert, MyAir data card and also session recording. ResMed AirSense 10 AutoSet & AutoSet for Her- the cost of the CPAP + Humidifier is around $880. This device has no integrated battery, but it comes with a 2 year warranty offered by the manufacturer. Other features include: DC cable, a pressure range from 4 to 20cm, auto adjusting pressure, Ramp time, auto altitude adjustment, HumidAir humidifier system, leak compensation, mask off alert and also an included SD card. 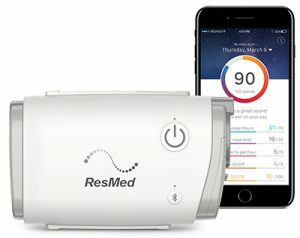 ResMed AirSense 10 Elite- somewhat cheaper than the other CPAP devices in the range. It can be purchased for about $800 with humidifier system included. Works on 110 & 120 voltage, but it has no integrated battery. The pressure range is 4 to 20cm, and it has no auto adjusting pressure. The machine includes the following features: Exhale pressure relief, ramp time, automatic altitude adjustment, HumidAir humidifier, but it has no leak compensation or mask off alert. The machine includes an SD card for therapy data management. ResMed AirSense 10 CPAP- This is the cheapest CPAP from the range, at only $750+ for the device & humidifier system. The machine comes with a 2 year warranty from the manufacturer. It has no integrated battery, and no Auto Adjusting pressure. The device incorporates a HumidAir humidifier system but it offers no leak compensation feature. The device allows for HR/Session recording thanks to the SD data card. Philips Respironics DreamStation Auto CPAP- The cost of the CPAP is approximately $650. However, if you would like to purchase it with humidifier included the price is $820+. The device comes with a 2-year warranty and works on both 110 and 220 Voltage. The device has no integrated battery. Other features include: auto adjusting pressure, ramp time, exhale pressure relief, and auto altitude adjustment. If you choose to purchase it with a humidifier, you will get a DreamStation Humidifier system with the device (a heated humidifier). Philips Respironics DreamStation CPAP Pro – The cost of the standalone CPAP device is a little over $500. However, if you add a humidifier to it, the cost will be approximately $750. Other features included: DC cable, pressure range 4 to 20cm, exhale pressure relief, ramp time, and heated humidifier. This model also comes with leak compensation, mask off alert and session recording. Philips Respironics DreamStation CPAP- a somewhat cheaper CPAP from the range. The standalone device costs about $450, but if you will add a humidifier to it the cost is about $650. In general, it includes the same features as the above-mentioned models from the range, excluding leak compensation and mask off alert. Respironics System One 60 Series REMstar Auto CPAP- This CPAP costs approximately $650, but if you purchase it with a humidifier the cost will exceed $800. The machine comes with a 2-year warranty from the manufacturer, and it has no integrated battery. However, it features Auto adjusting pressure, exhale pressure relief, ramp time, and also auto altitude adjustment. DeVilbiss IntelliPAP 2 AutoAdjust CPAP- the sleep apnea machine cost is approximately $700. If you also need a humidifier, the cost will be about $750. The manufacturer offers a warranty of 3 years, but the CPAP does not include a battery. The pressure range is 3 to 20cm, and some other features include: auto adjusting pressure, exhale pressure relief, ramp time, and auto altitude adjustment feature. DeVilbiss IntelliPAP AutoAdjust- the cost of the CPAP device is about $500, and with a humidifier, the cost is $550. You will also get a 3-year warranty from the manufacturer and the device works on both 110 and 220 voltage. Includes the same features as the IntelliPAP 2. DeVilbss IntelliPAP Standard Plus- this is a cheaper device and you can get it well below $400. If you need it with a heated humidifier you will pay approximately $495. It includes almost the same features as the above-mentioned models, but this one has no Leak compensation or auto adjusting pressure. 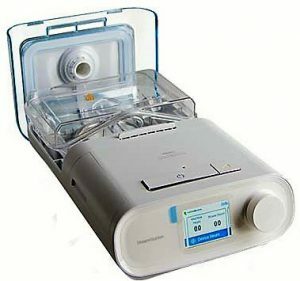 DeVilbiss IntelliPAP Standard – the cost of this CPAP is only $325, but with a humidifier, the cost is $400. The machine has no auto adjusting pressure, no exhale pressure relief, no mask off alert and no leak compensation. As you can easily notice, the cost of a CPAP is highly influenced by the included comfort features but also by whether it includes a humidifier or not. 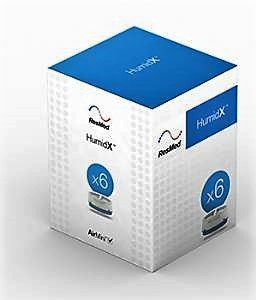 Some machines come with an integrated humidifier, while for others you need to purchase separately one. The humidifier adds greatly to the oxygen therapy comfort, by providing the right level of moisture and temperature of oxygen into the tubing. It is not necessary to purchase a machine with a humidifier, but having one will definitely help you enjoy more comfortable therapy and avoid the dry mouth symptom and you will become much quicker compliant with required therapy. Fisher & Paykel Icon Auto – the cost of this CPAP machine with a compatible humidifier exceeds $1,000. Some of the features include pressure range 4 to 20 cm, auto adjusting pressure, exhale pressure relief called SenseAwake, ramp time, auto altitude adjustment, plus an integrated heated humidifier The machine has no mask off alert, but it comes with an integrated Smart Stuck for therapy data recording. Fisher & Paykel Icon Premo- the CPAP & integrated humidifier price is about $900. The machine works on both 110 and 220 voltage and you will receive a 2-year warranty from the manufacturer. The machine has approximately the same features as the Icon, except for the auto altitude adjustment which is optional. Fisher & Paykel Icon Novo- the cost of the machine and integrated humidifier is approximately $875. The device has no auto adjusting pressure and no exhale pressure relief. As you can note, The Icon Auto is the most updated in terms of features, while all other devices from the range are cheaper but they miss certain comfort features. Next, in order to enjoy comfortable and safe therapy, you need to think about cleaning/ disinfecting your machine on a regular basis. If you wish to invest in a CPAP sanitizer, you should add at least $150+ more to the overall cost of the CPAP equipment. 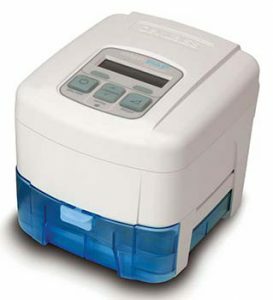 Alternatively, until you purchase a sanitizer you can use bacteria filters and special mask/ CPAP wipes to keep your machine and accessories clean. What about travel CPAP machines? How much do they cost? In general, the travel CPAP machines are much cheaper. These are also smaller devices, but they are not actually intended to be used on a continual basis. You can buy a travel CPAP for as little as $200+, but there are also more serious travel sized machines that can cost even $2,000. The bad news is that insurance will not typically cover for a travel CPAP, mainly because the insurer regards them as “comfort” or luxury items that you do not necessarily need. However, your insurance provider might offer coverage for your standard CPAP that you use at home. Trustworthy and reputable online CPAP & accessories providers will actually help you get reimbursement from your insurer. Check your insurance and see if such a CPAP device is covered by the policy. Be careful with high deductibles. If you need a CPAP but you did not meet your deductible yet, you will have to pay a certain amount out of pocket before the policy covers anything. Insurance-related issues might be quite complex. This is why it is important to run a thorough research and know exactly how much and if your insurer covers anything for a CPAP purchase. If your deductible is extremely expensive, it might even be more convenient to purchase your CPAP machine without any insurance coverage. If you need a CPAP device, but you cannot afford to purchase one yet, a good tip would be to look for CPAP rental options (at least for short-term, until you will purchase your own). If you would like to purchase a CPAP machine there’s no better place for this than our ONLINE STORE.